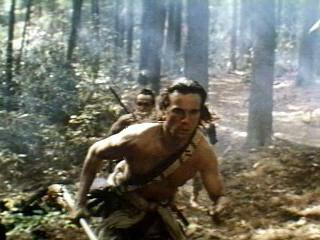 Hollywood’s taken advantage of Asheville’s pretty charms many a time. Lake Lure had a memorial service for Swayze after he passed away. And there’s a Dirty Dancing festival every year, with a screening of the movie and a “lake lift” contest. Biltmore Estate and the mountains around Asheville were the setting for The Last of the Mohicans starring heartthrob frontiersman Daniel-Day Lewis. Once again, the area was called upon to pass for New York State — this time, the 18th century wilderness that was the backdrop for the French and Indian War. 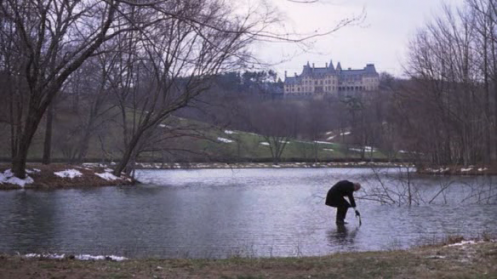 Biltmore was also a player in the hilarious comedy Being There, starring the late, great Peter Sellers. Long before Forrest Gump, Sellers played a dimwit gardener who unintentionally had everyone thinking he was brilliant. Great stuff. This entry was posted in Behind the scenes, Entertainment, Road trips and tagged Asheville North Carolina, Being There, Dirty Dancing, Jennifer Grey, Lake Lure, movie locations, Patrick Swayze, Peter Sellers, The Last of the Mohicans. Bookmark the permalink.